Woke up at 5:00 am to get to school at around 6:00am and our bus left after sometime. Our first stop was at the Jollibee Commissary. We saw how their stuff were made; sauces, sausages, buns, patties, etc. I found this plaque thingy rather cute. We went back to the bus after a short amount of time and from South, we went to Ortigas for the Philippine Stock Exchange. On our way, we (Ina, Maia and I) slept again. Haha! 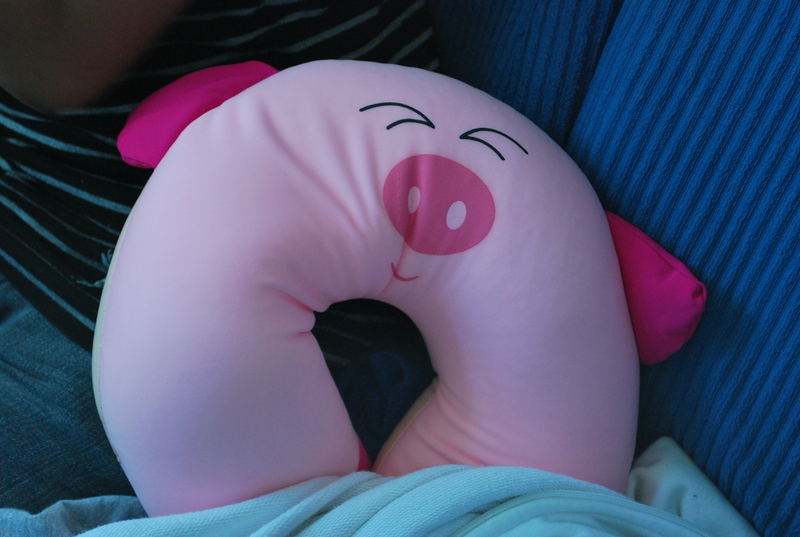 Maia brought the cutest thing ever, her pig pillow thingy! Cute pa how sir Sabug poked fun at it! 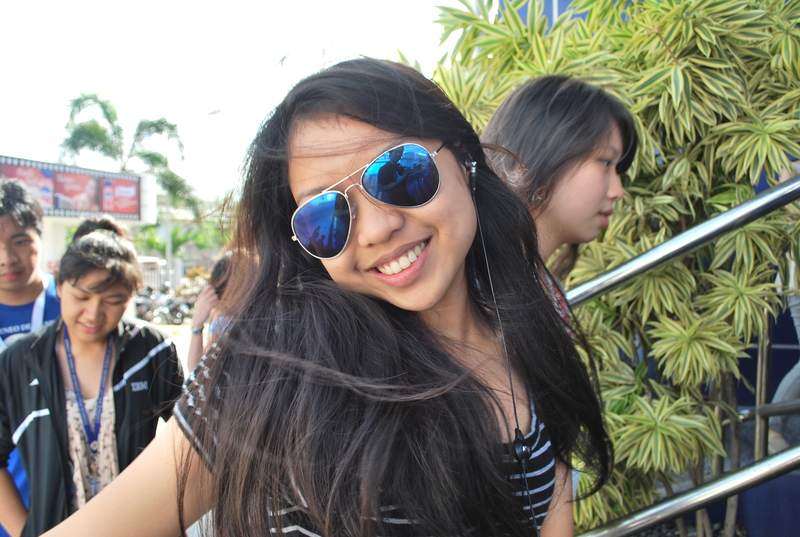 Cute rin na on our way, Janine thought of studying for her class! Diamond, on the other hand was rather bored of the trip. Haha. 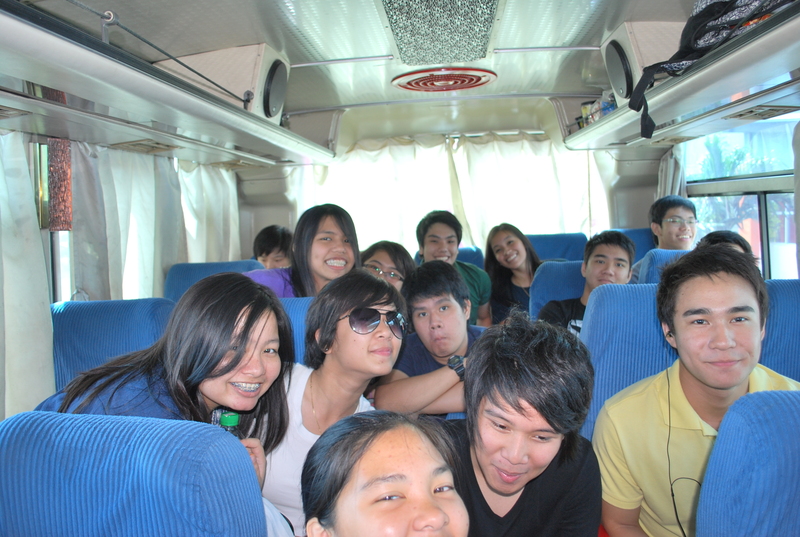 After the PSE, we went back South (yeah, we passed by the SLEX a lot of times. Haha!) for the Gardenia thingy. So happy I thought we’d be back in school early, guess not! We were so delayed and the factory was closing-ish na. Fail much. 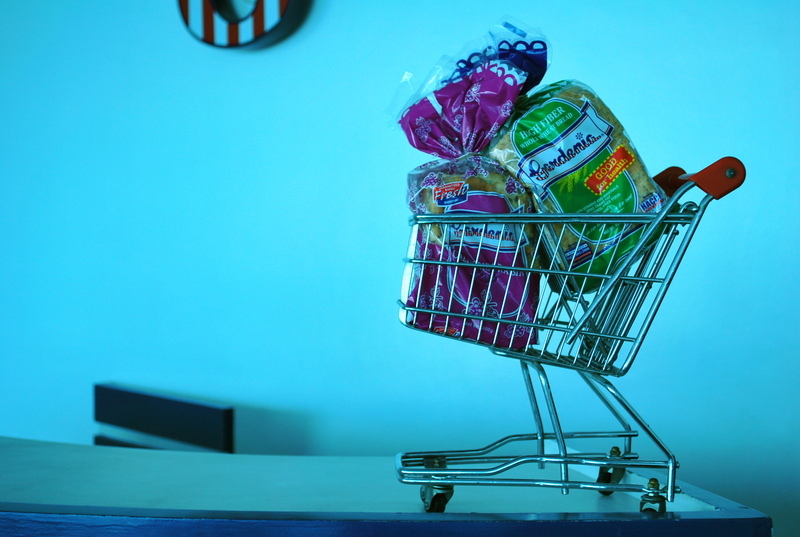 Found the mini grocery cart with bread rather cute though. But to be fair, the field trip was enjoyable anyway. Sir Sabug was really accommodating! He talked to nearly everyone inside the bus! 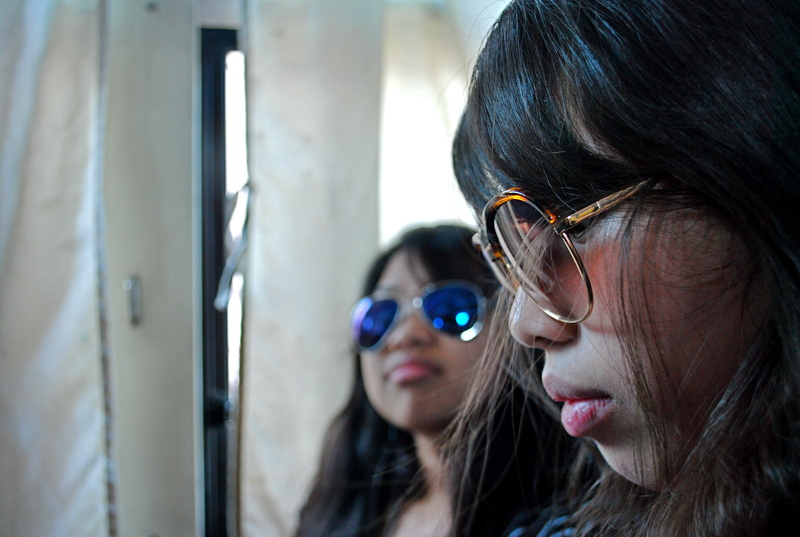 Bus trip wouldn’t be as fun if it weren’t for my seatmates, Ina and Maia! We did some seating rotation and at one point I settled for the aisle seat since my legs were more free. Haha! To end. Well, I like taking pictures of stuff behind me. So I would raise my camera then click! Funny how some people I don’t know smiled! haha! Funny! ← Sweet Sweet Sweet Victory! 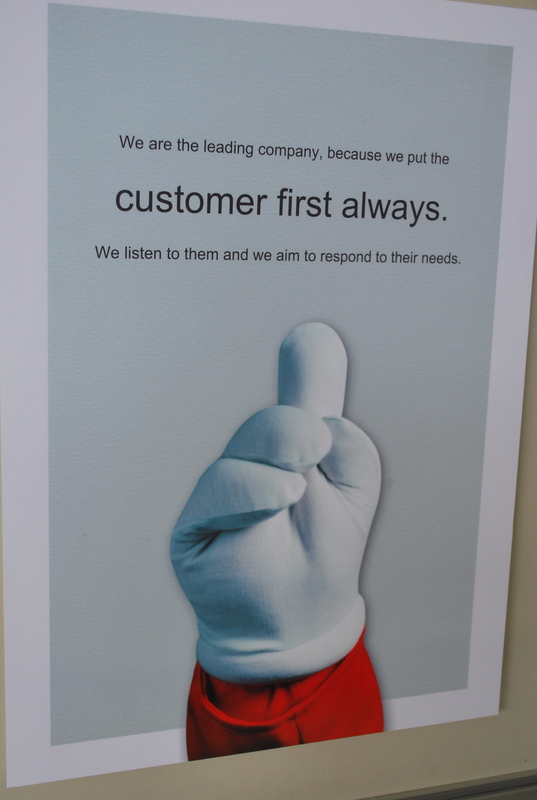 And I heard that Oishi was bad daw talaga and very useless! D: Shucks, fail the stuff na lang sa evaluation! Haha! Rather, give them high scores so the batches after us will suffer as well! Haha!